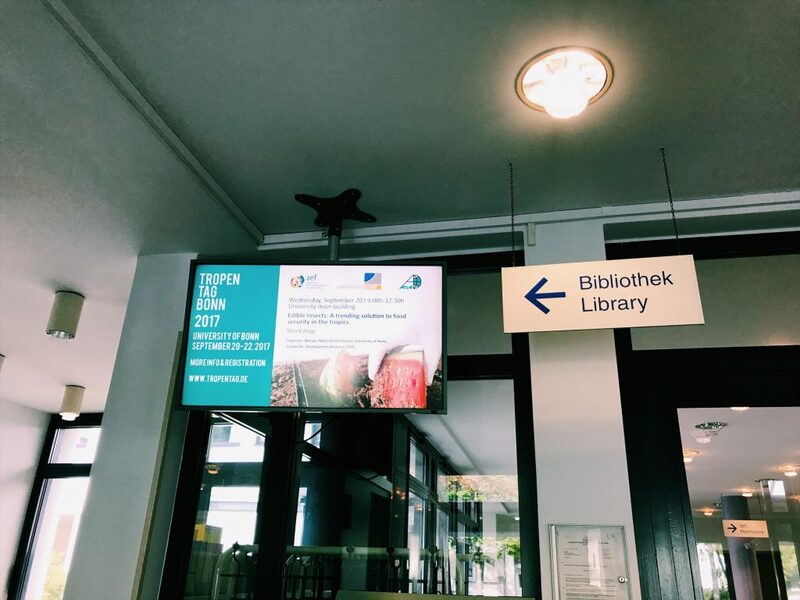 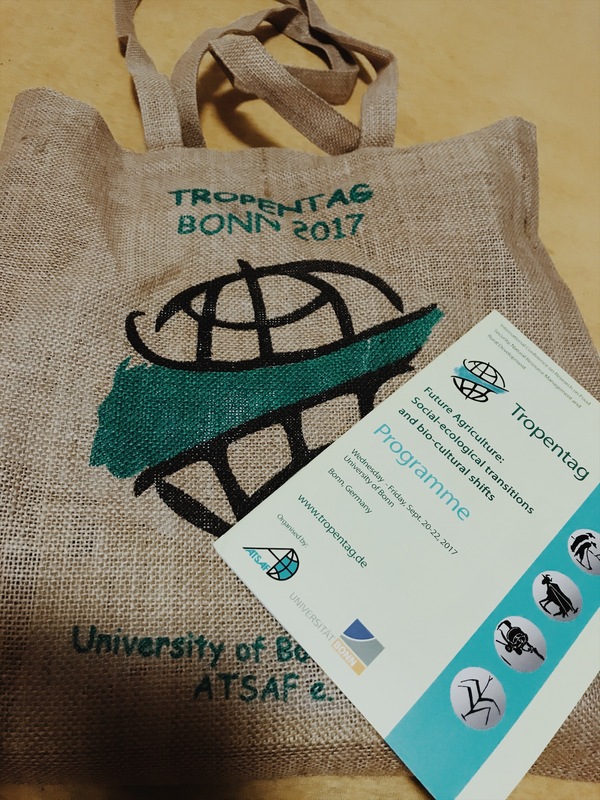 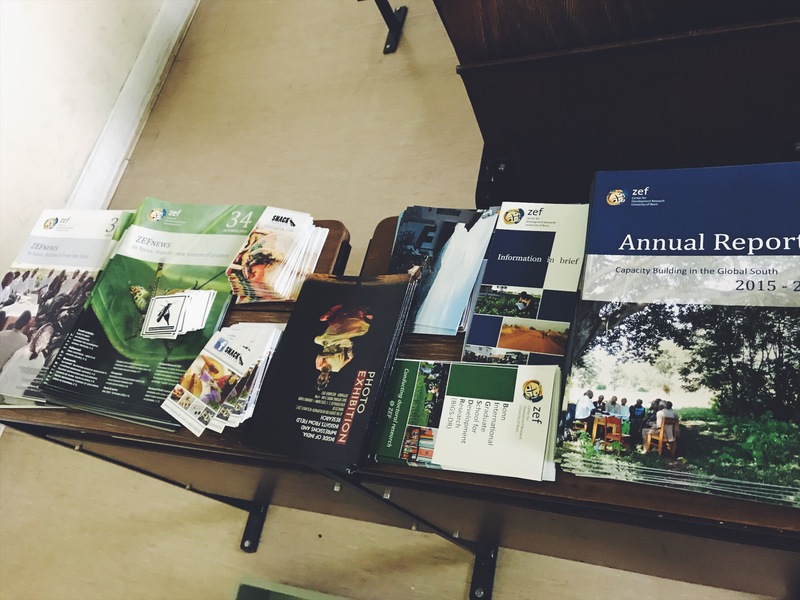 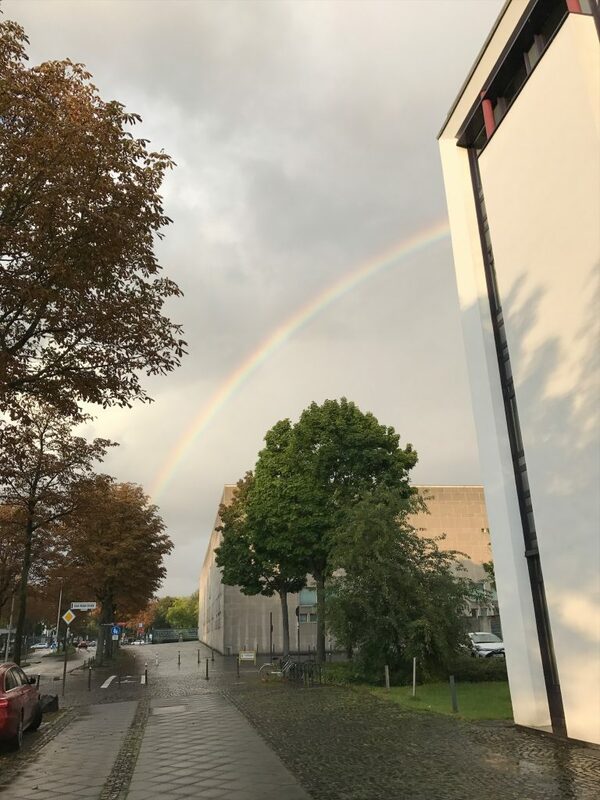 Tropentag decided to visit Bonn during the year 2017 and under the theme:”Future Agriculture: Social-ecological transitions and bio-cultural shifts”. 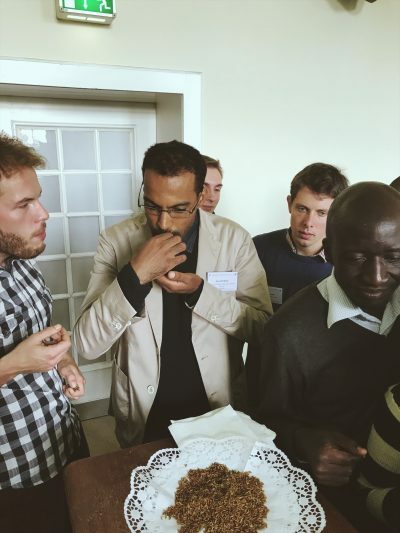 Agricultural systems in developing countries are currently undergoing drastic changes. System-immanent attributes such as visions, aspirations, cultural specifics and production factor availability shape the response of land users to growing external pressures such as climate change, market demands, land degradation, emerging diseases and policies. 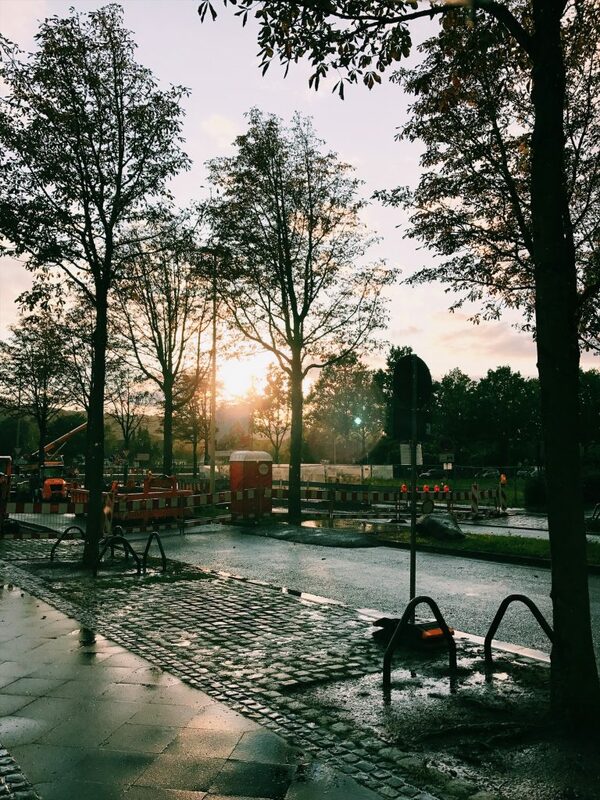 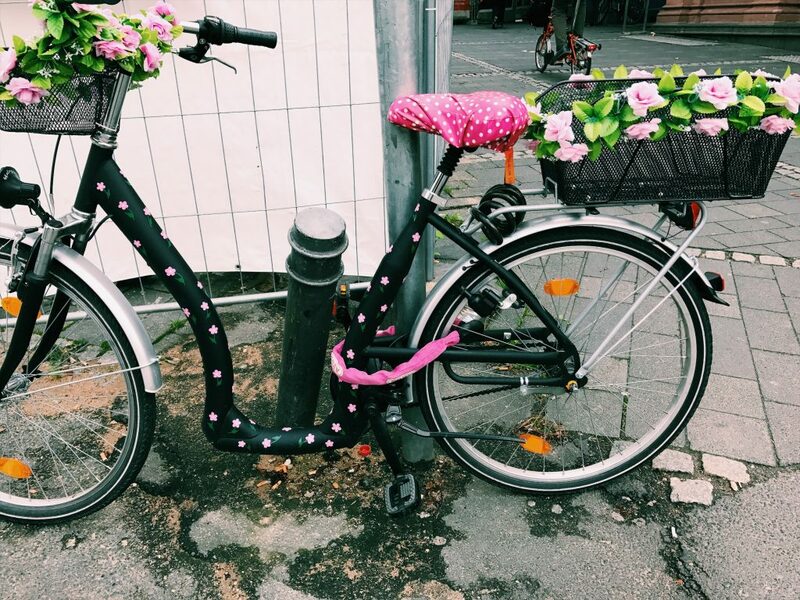 In addition to such social-ecological transitions, substantial bio-cultural shifts occur and are imposed by centrally-planned establishments of large-scale intensification corridors and protection zones, or are associated with infrastructure development and urbanisation processes. 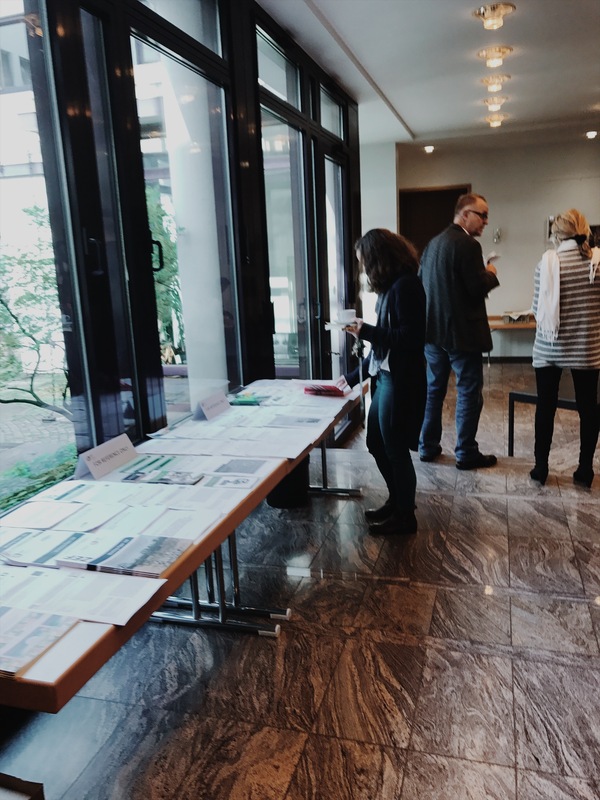 The wide array of resulting response pathways and land use or production strategies may include intensification, diversification, and specialisation, but can also lead to abandonment of land, migration and conflicts. 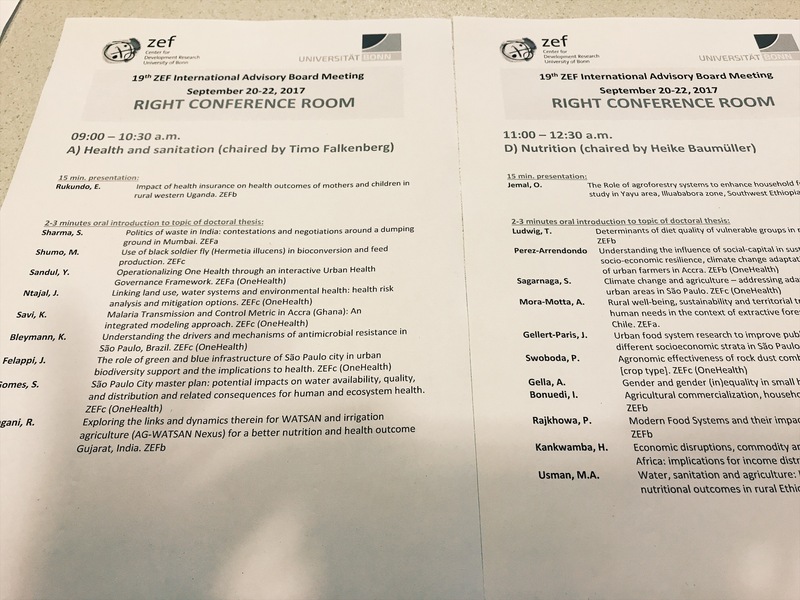 What are the implications of such developments and change processes for food security, resource base quality, rural well-being, and in general for the future of agriculture? 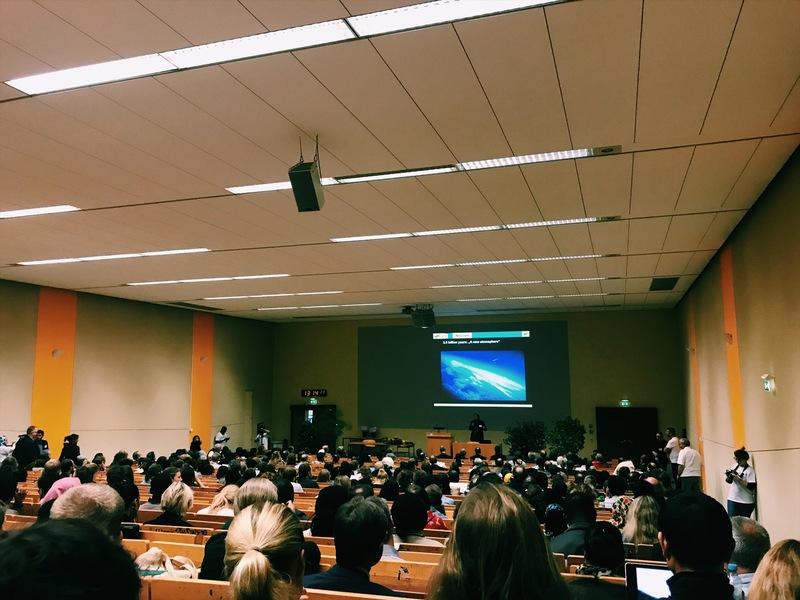 These questions and related topics were addressed in plenary presentations and key note lectures in thematic sessions. 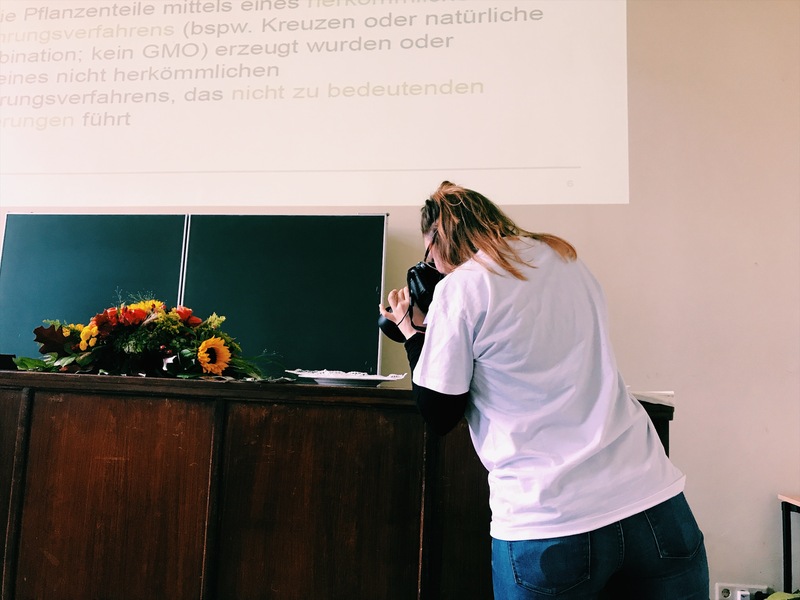 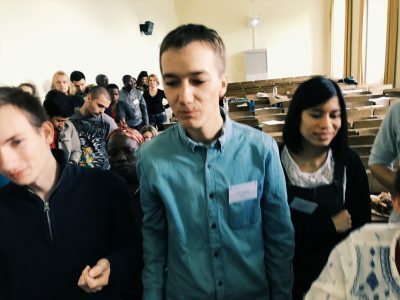 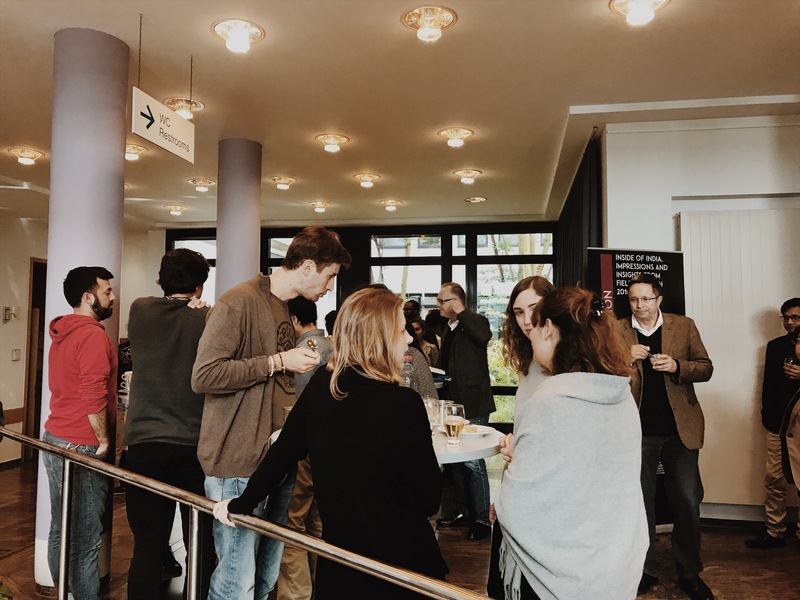 In addition, Tropentag 2017 offered researchers the opportunity to organize their own workshops , specifically adapted to their target audience. 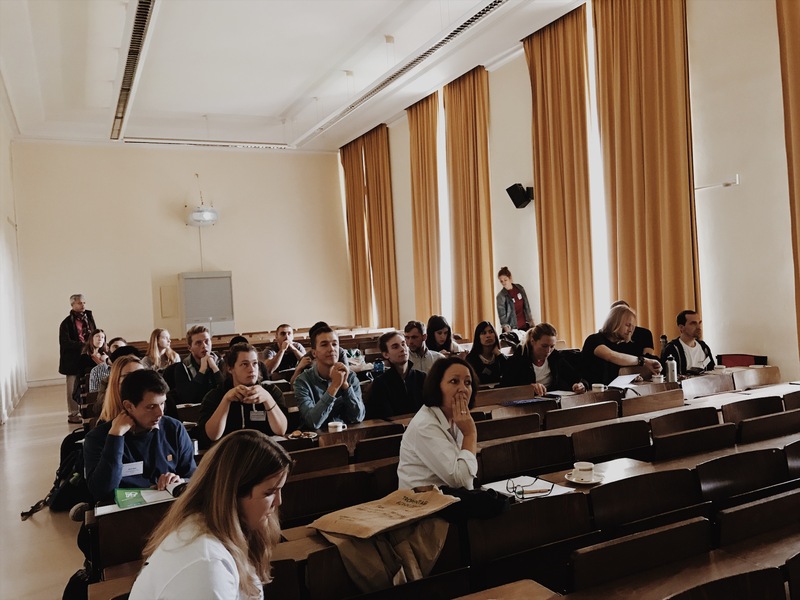 The idea isthat organizers either network targeting a specific topic or offer capacity building, tasks forces for projects and follow their own initiative. 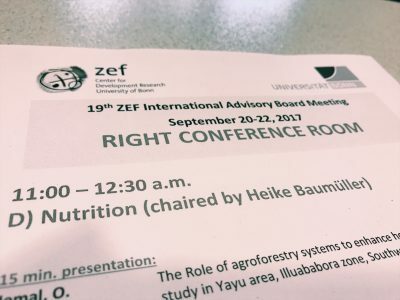 The only condition is that topics should be related to tropical agriculture in a wider sense. 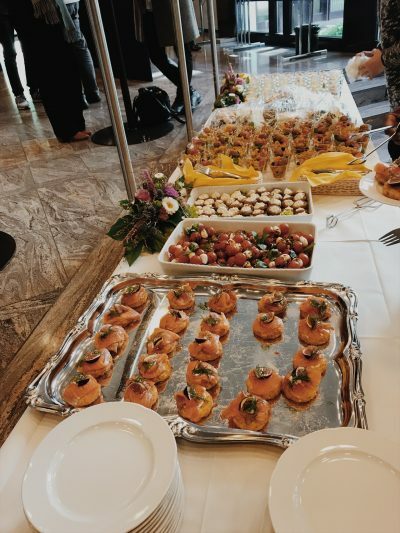 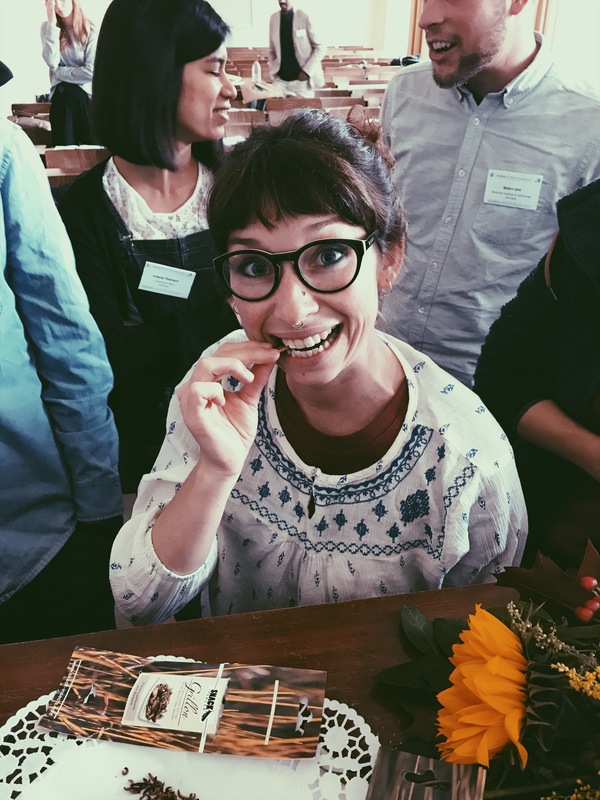 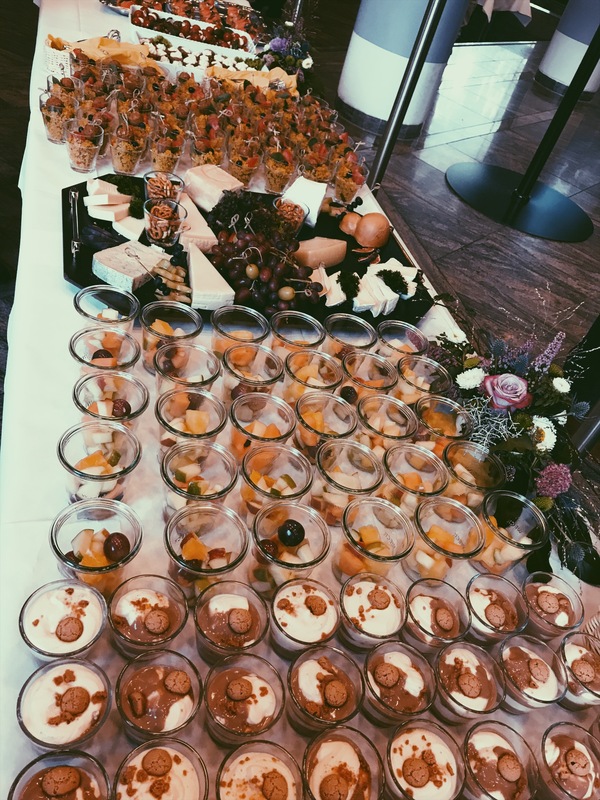 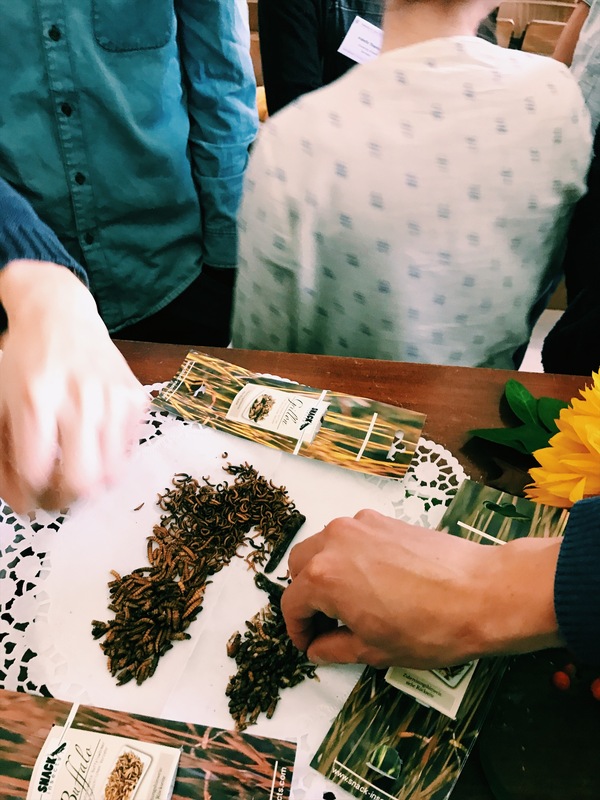 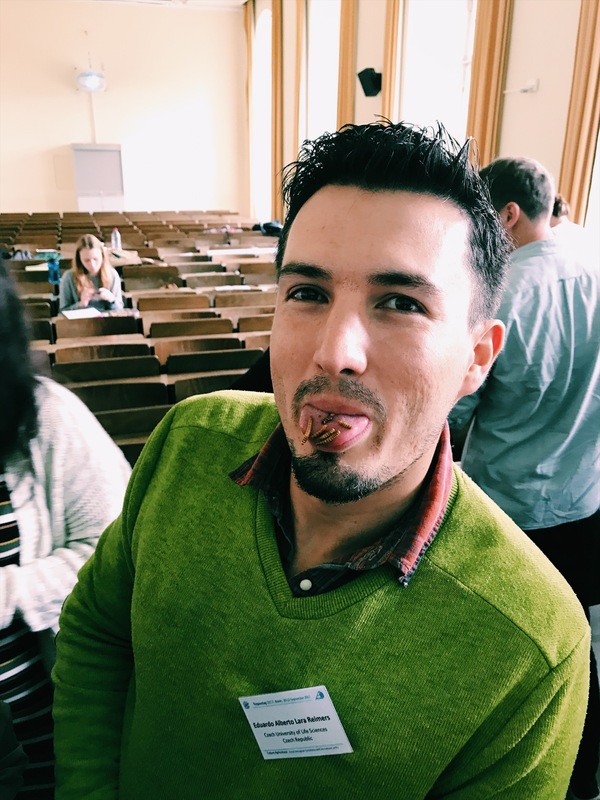 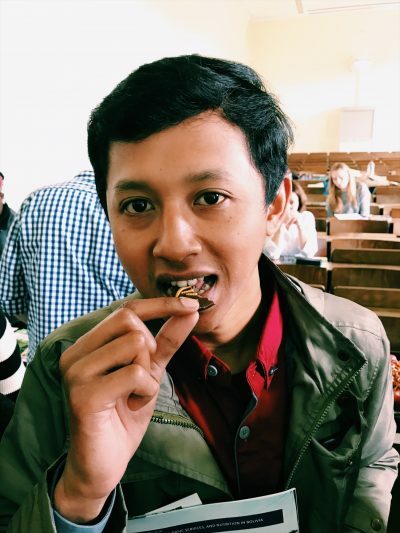 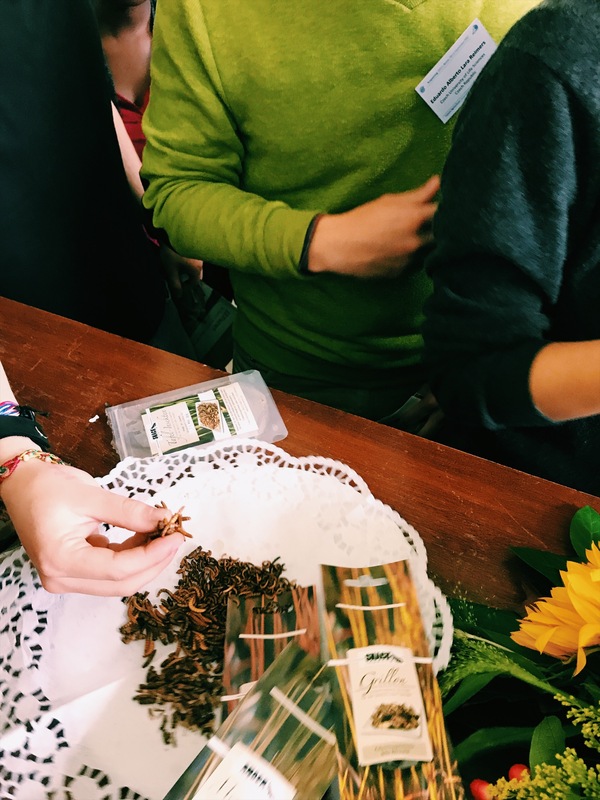 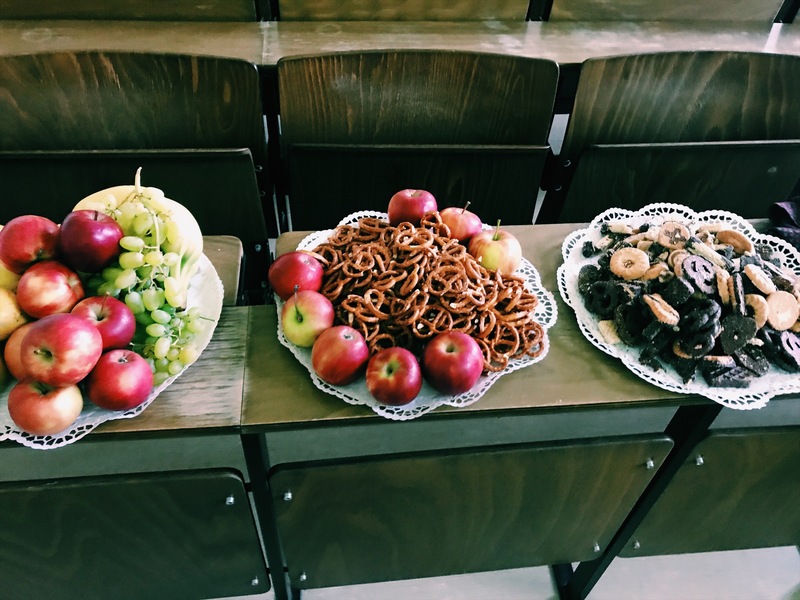 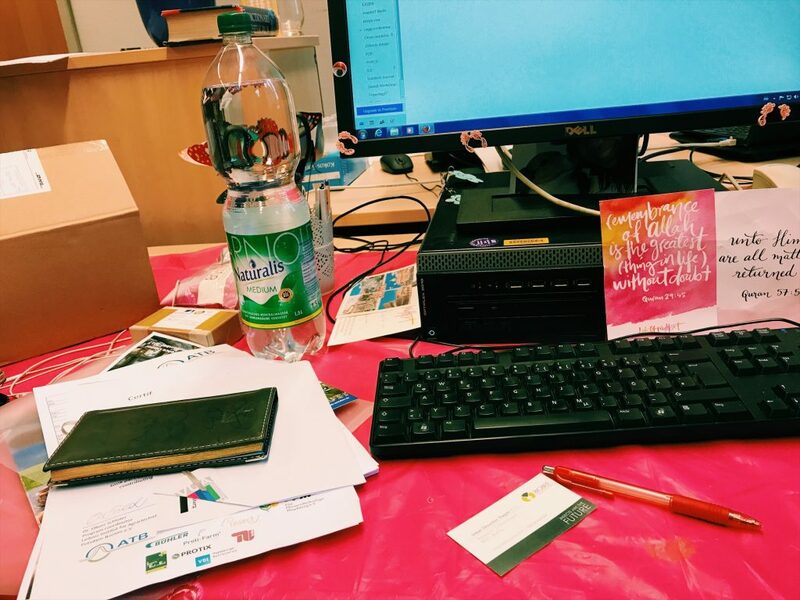 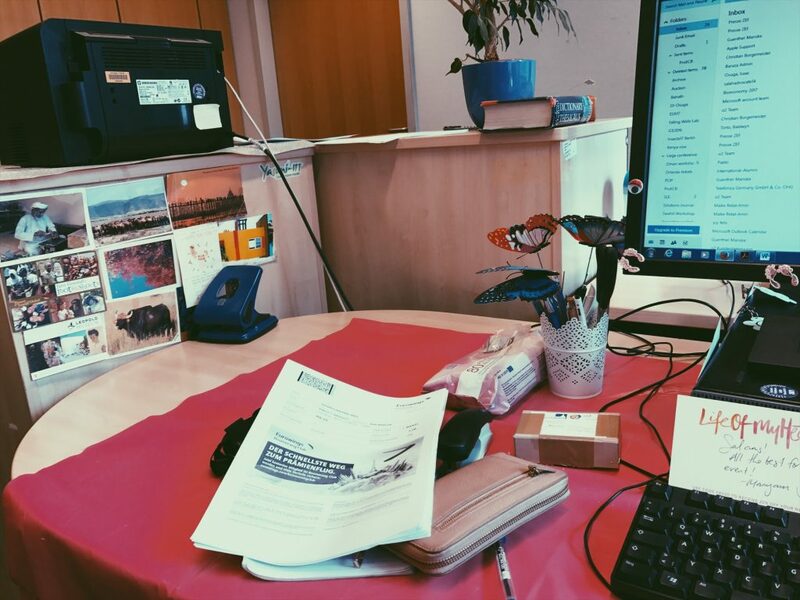 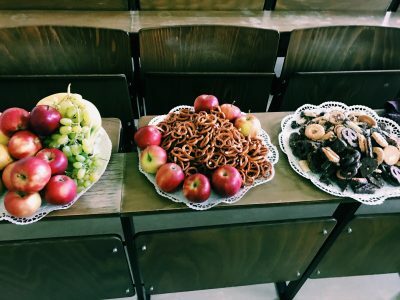 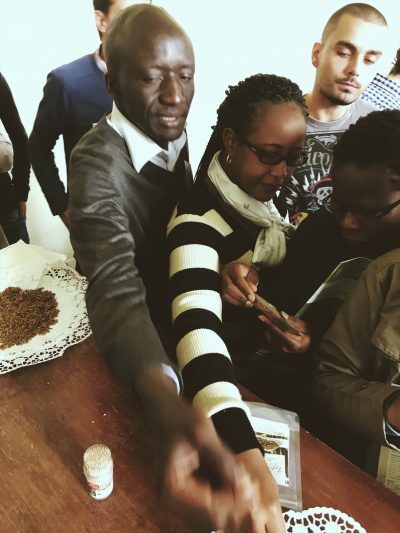 Marwa had a dream of organising a workshop in Bonn on edible insects. 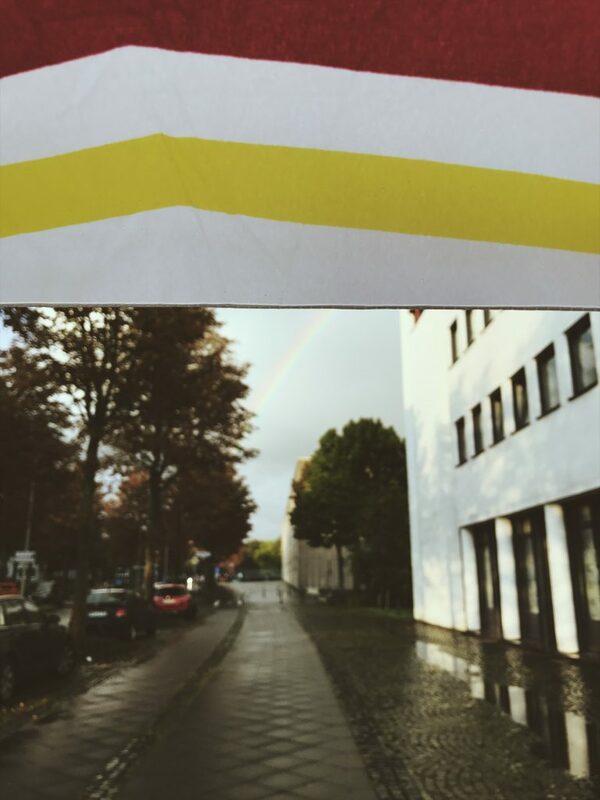 Guess what?? 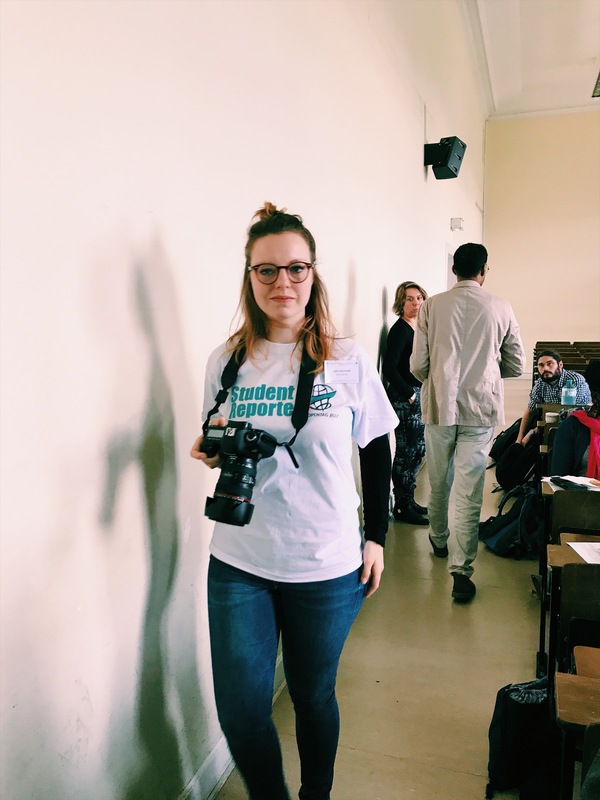 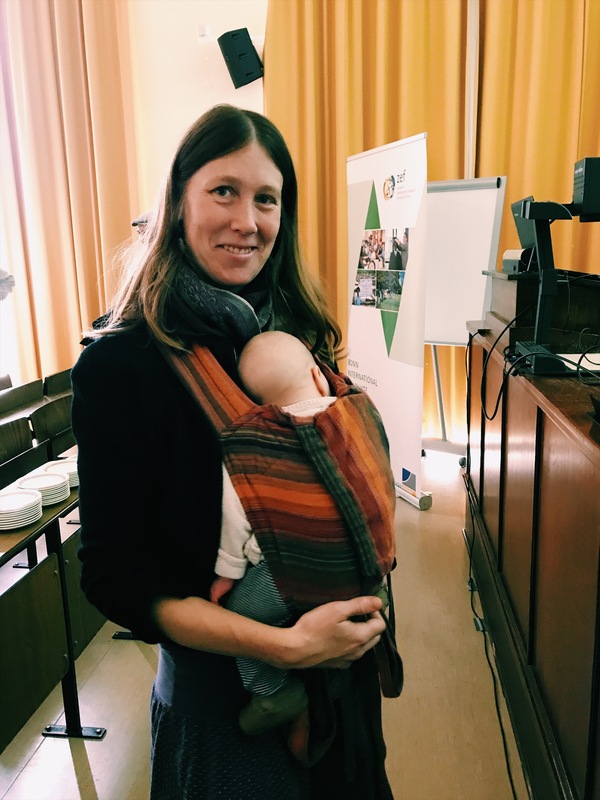 She took a chance, wrote a workshop proposal and was happy to be told that her workshop proposal was accepted together with another 7 proposals out of around 30 proposals that were submitted in total. 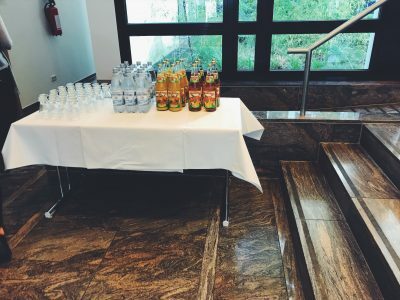 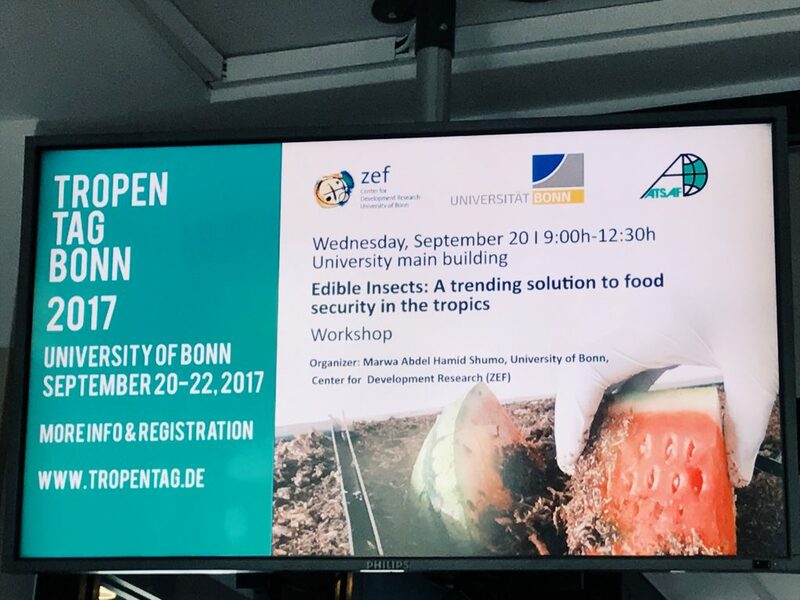 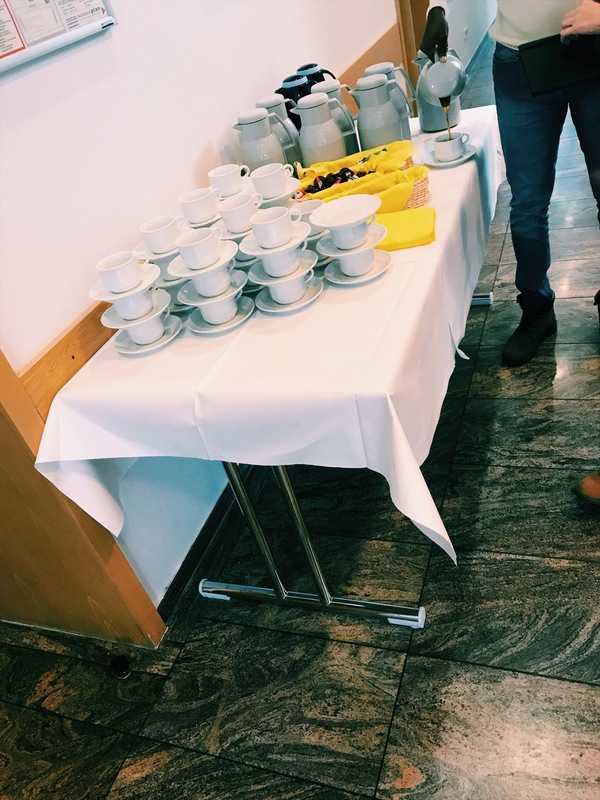 Our workshop was titled: “Edible Insects: A trending solution to food security in the Tropics” and took place on Wednesday, 20/09/2017, from 09:00 to 12:30 h in room LH7 of the University of Bonn main building. 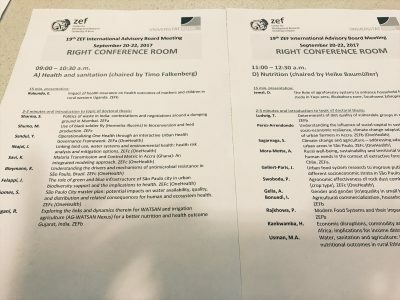 Here is a description of our workshop background:Edible insects as an alternative protein source for human food and animal feed are interesting in terms of low greenhouse gas emissions, high feed conversion efficiency, low land use, and their ability to transform low value organic side streams into high value protein products. 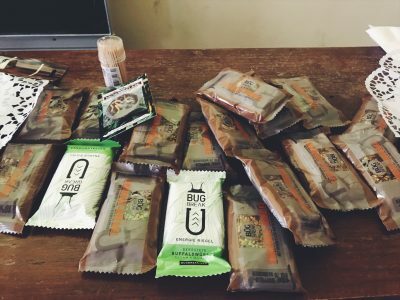 More than 2000 insect species are eaten mainly in tropical regions. 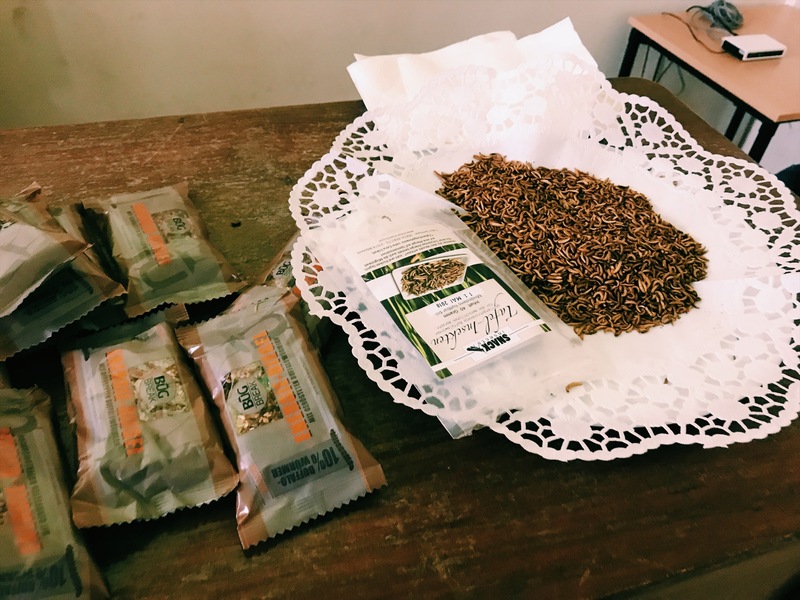 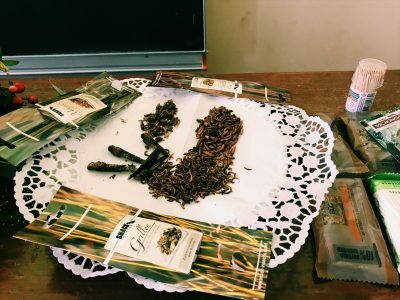 The role of edible insects in the livelihoods and nutrition of people in tropical countries is discussed, but this food source is threatened. Edible insects have about the same protein content as conventional meat and more PUFA. 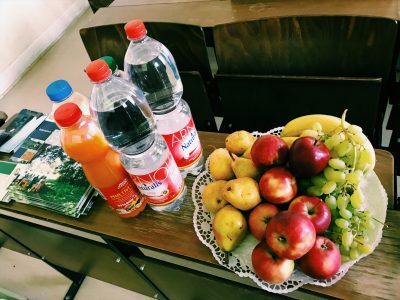 They may also have some beneficial health effects. 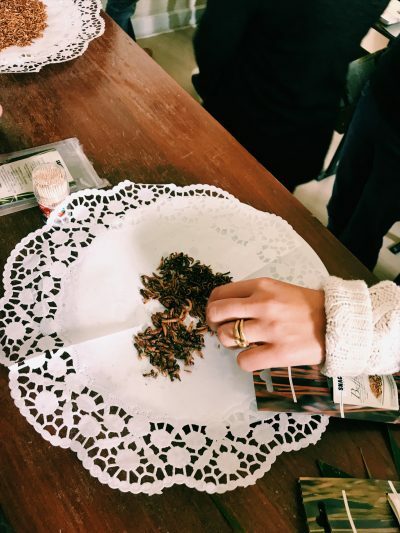 Edible insects need to be processed and turned into palatable dishes. 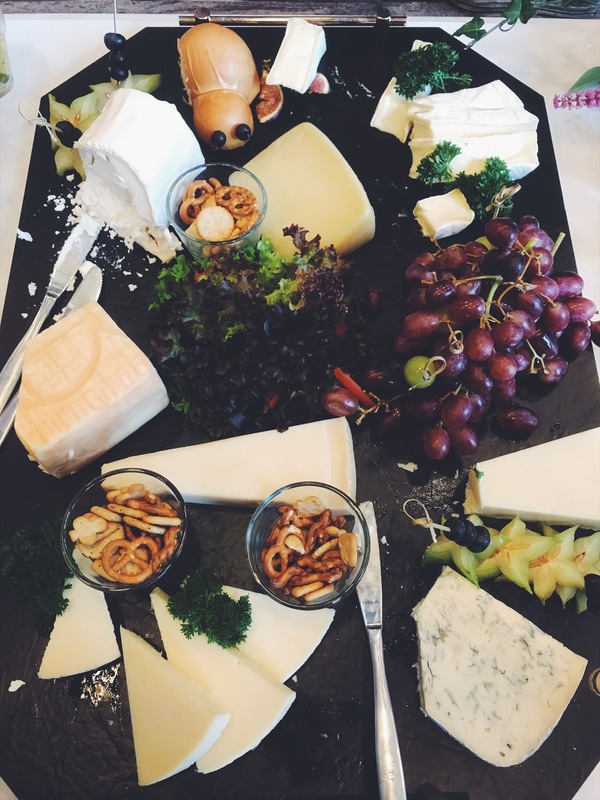 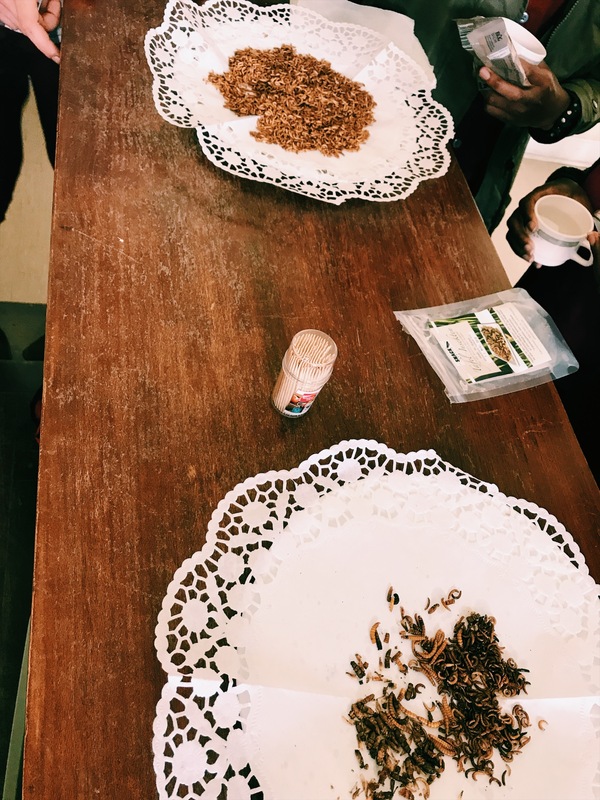 Food safety may be affected by toxicity of insects, contamination with pathogens, spoilage during conservation and allergies. 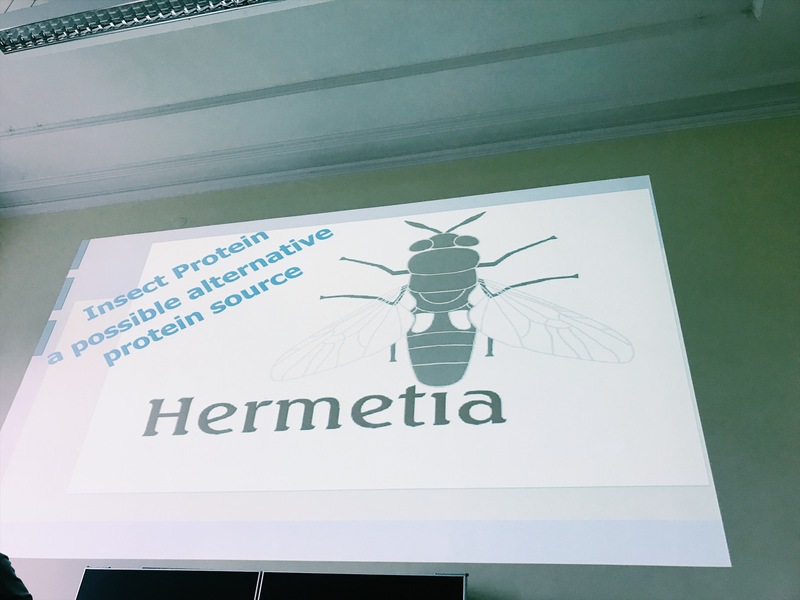 And the main purpose of the workshop was to:Discuss ongoing research pathways to make insects a viable sector in food and agriculture: an appropriate disciplinary focus, quantifying its importance, comparing its nutritional value to conventional protein sources, environmental benefits, safeguarding food safety, optimizing farming, consumer acceptance and gastronomy. 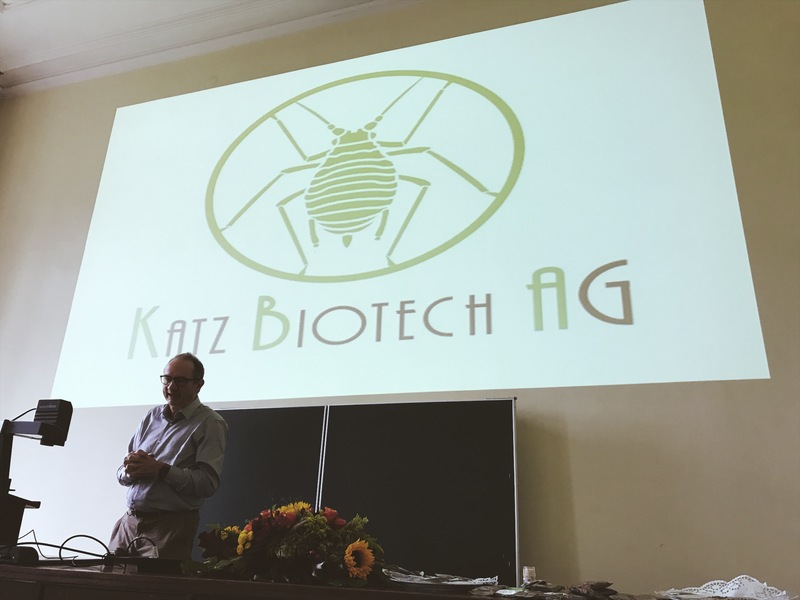 We we our delighted to receive our workshop special guest and speaker Mr. Heinrich Katz, the founder and owner of Hermetia Baruth GmbH, a pioneer in the commercial production of insects for feed in Germany. 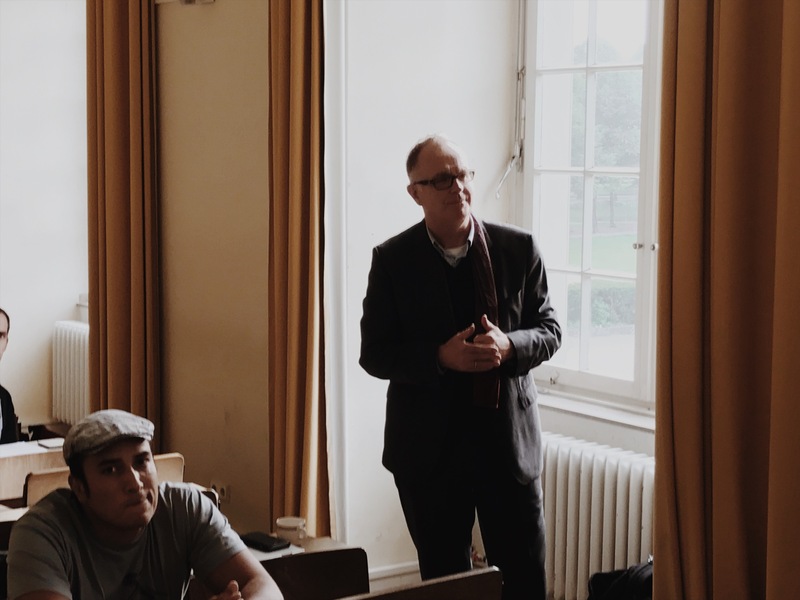 Mr.Katz talk drew alot of interest and urged the participants to ask alot of questions to the point we extended our workshop for another 30 minutes just to give the participants a chance to discuss more and learn from his practical experience. 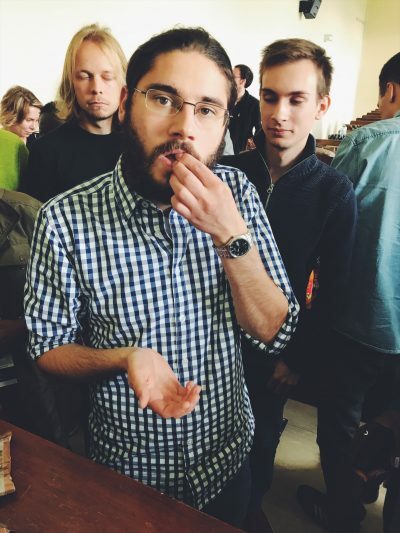 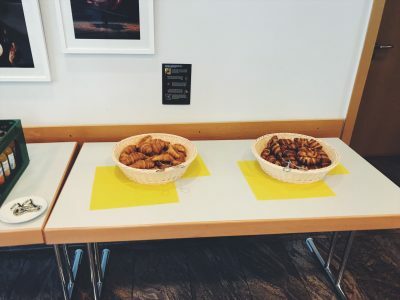 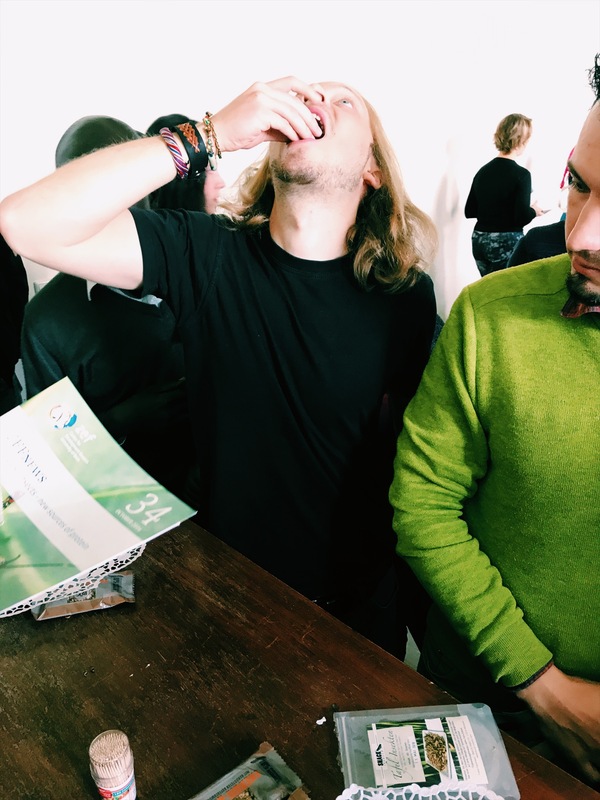 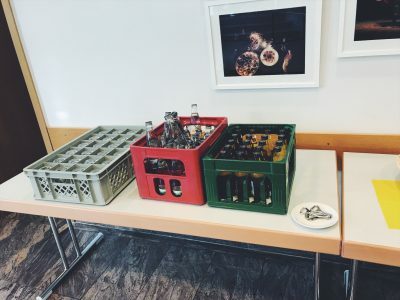 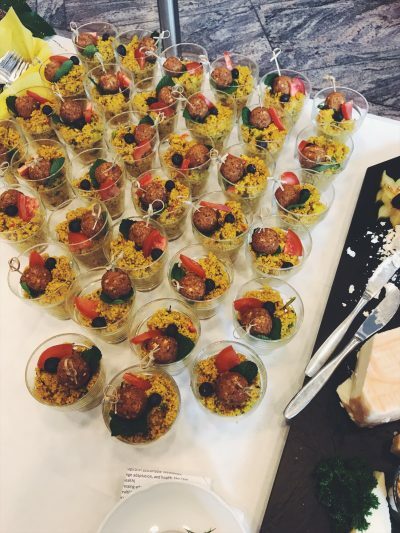 We also held an Insects tasting session during which the workshop participants were invited to try several different insects’ species.I was surprised that the plates were emptied in few minutes and everyone seemed well satisfied with what they have tried. 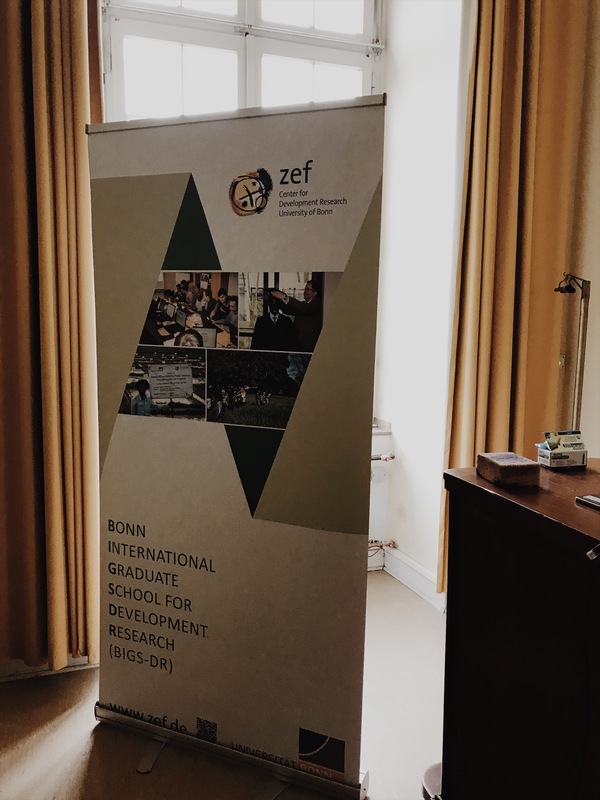 Many thanks to Dr.Eric Tielkes – Tropentag secretariat and Kai Behn (Uni Bonn) for their support & for facilitating my workshop. 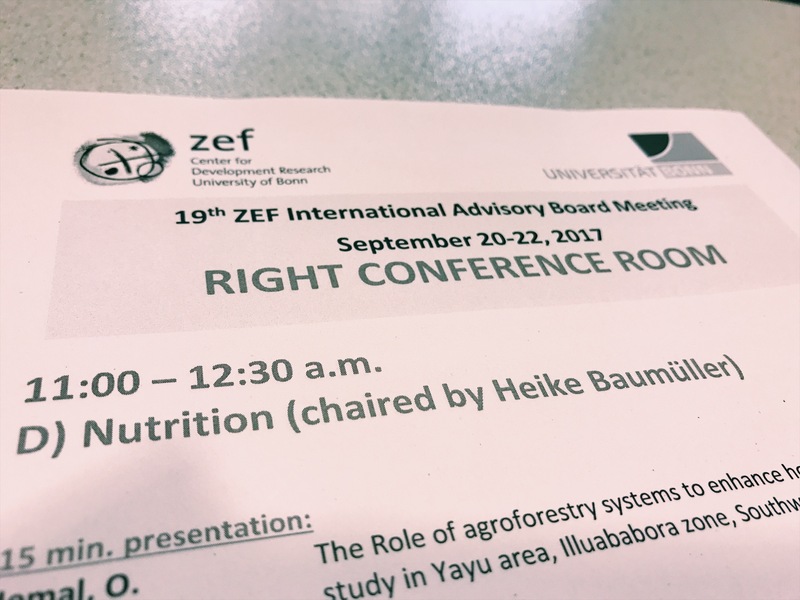 I was delighted to be selected to talk about my research the following morning among other junior scholars in front of the international Advisory Board of ZEF (was inaugurated in November 1999). 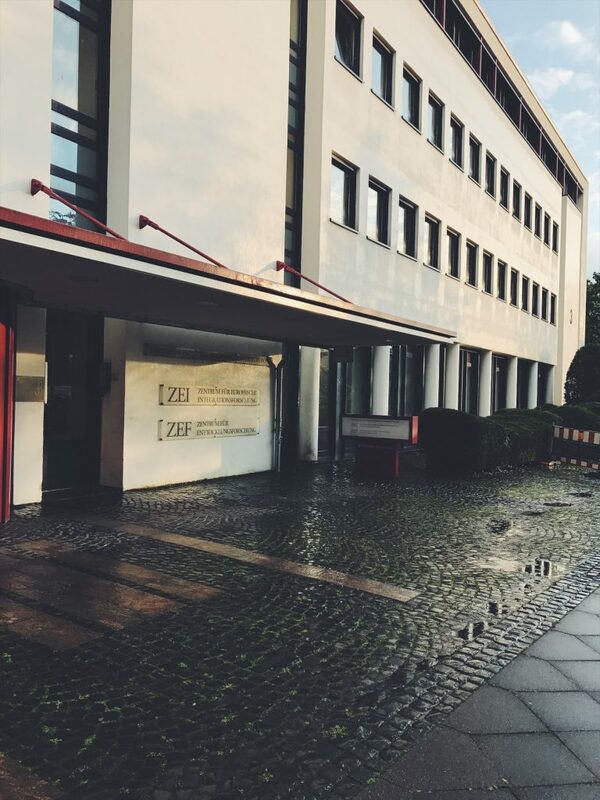 On the strength of its members’ professional competence and reputation, the board is to actively follow the activities of ZEF as well as advise and support the Center in its strategy. 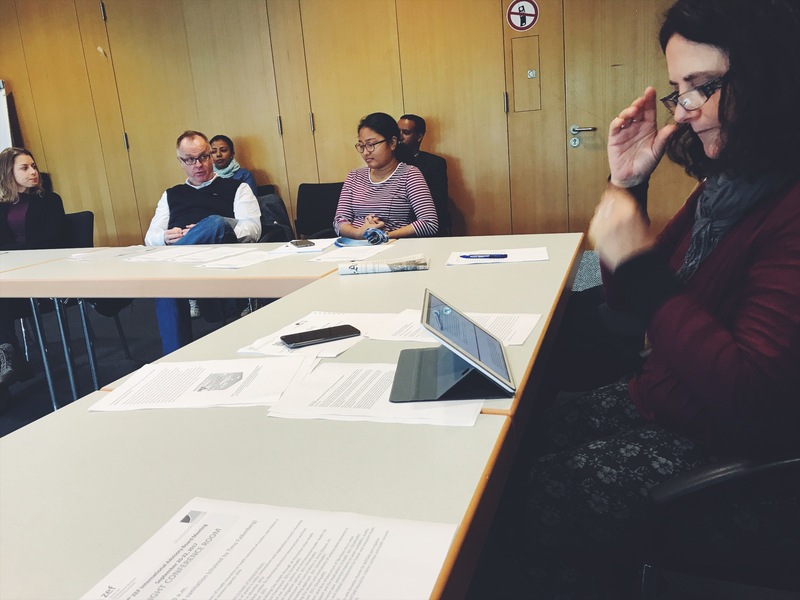 Members of the Board represent the German state and federal ministries, private companies, as well as the international science and NGO community. 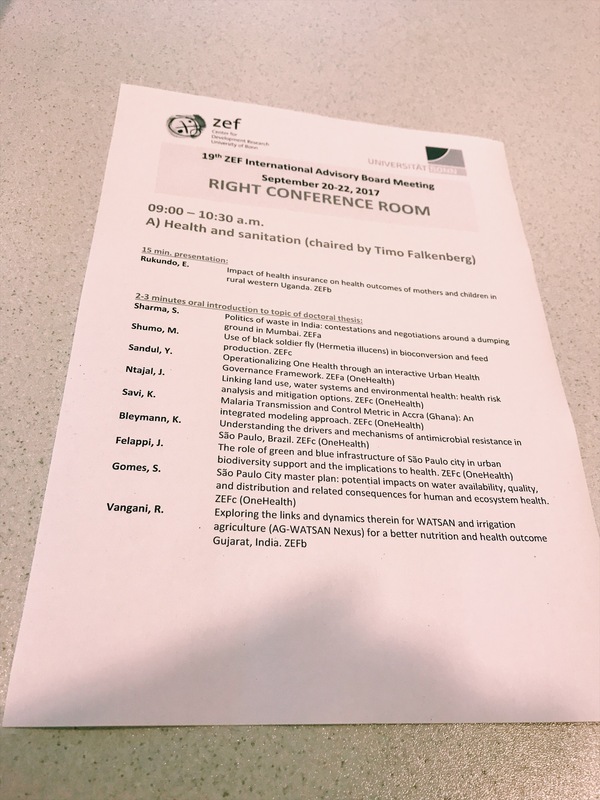 I had to summarize my 3 years research in 3 minutes, quite a challenge but the feedback from the advisory board was as intense and precise, they said “Wonderful”. 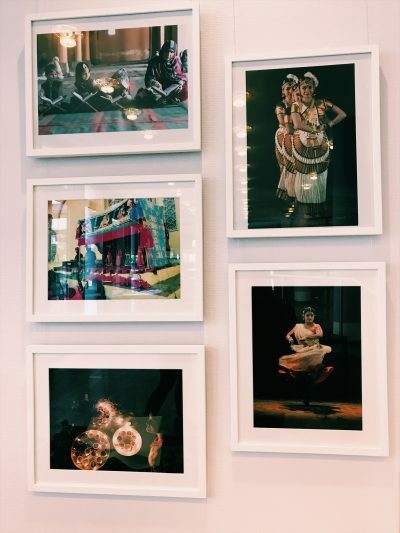 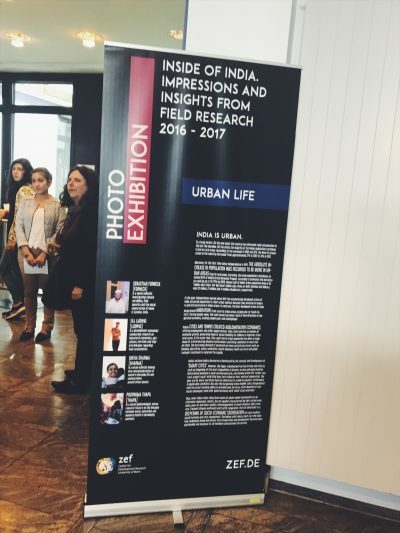 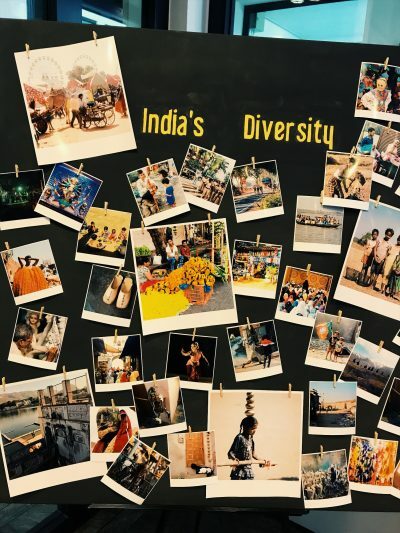 The meeting was concluded by a lunch opening of the photo exhibition “Inside India. 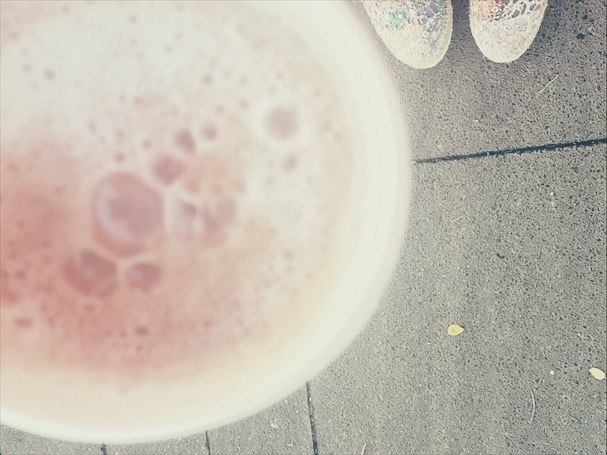 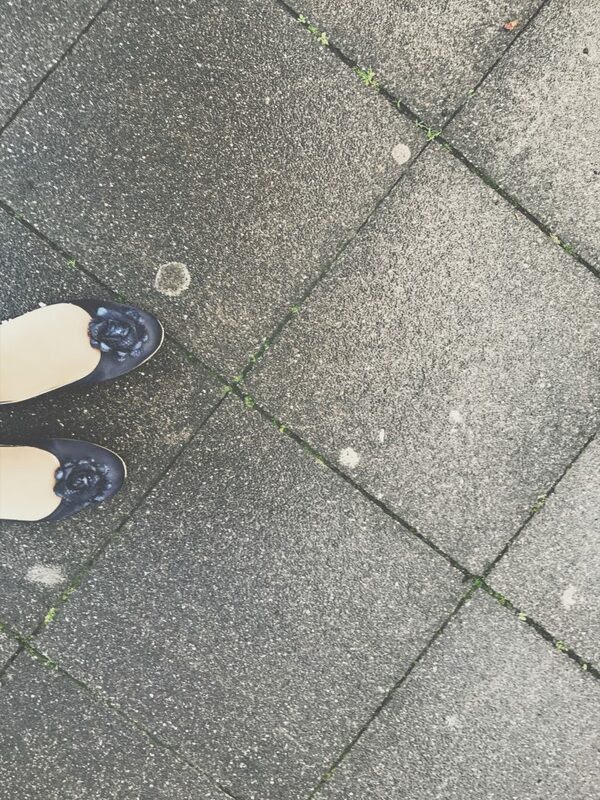 Impressions and insights from field research”. 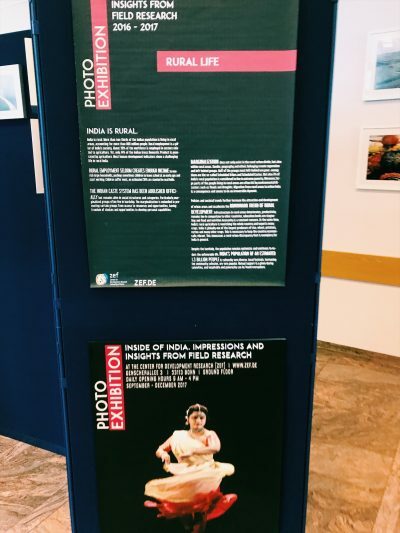 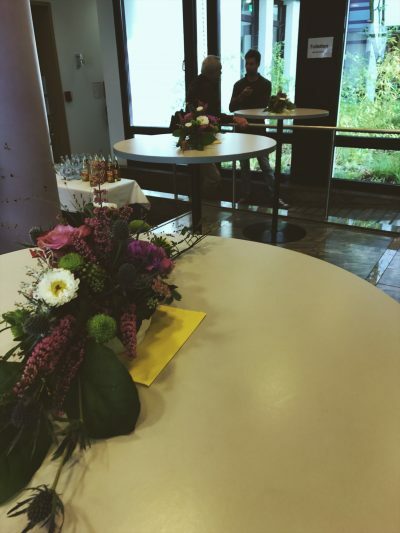 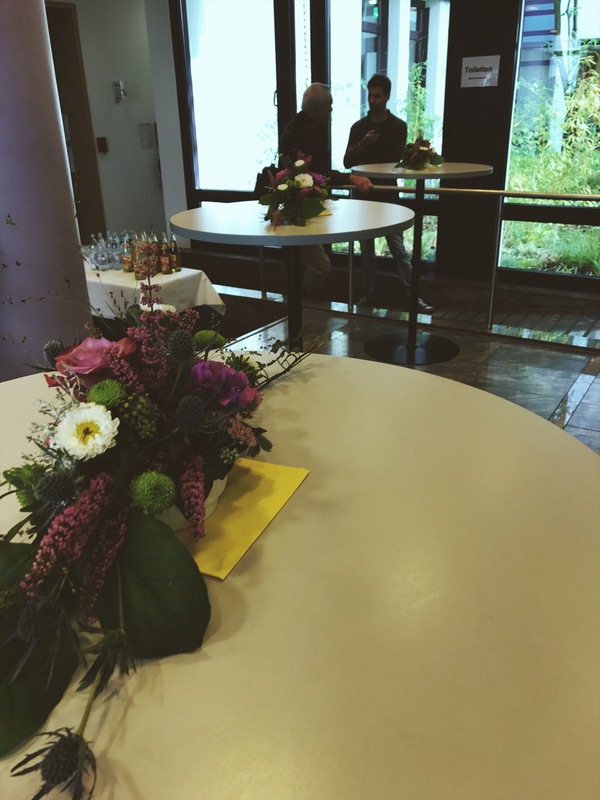 A photo exhibition with photographs from four ZEF doctoral researchers. 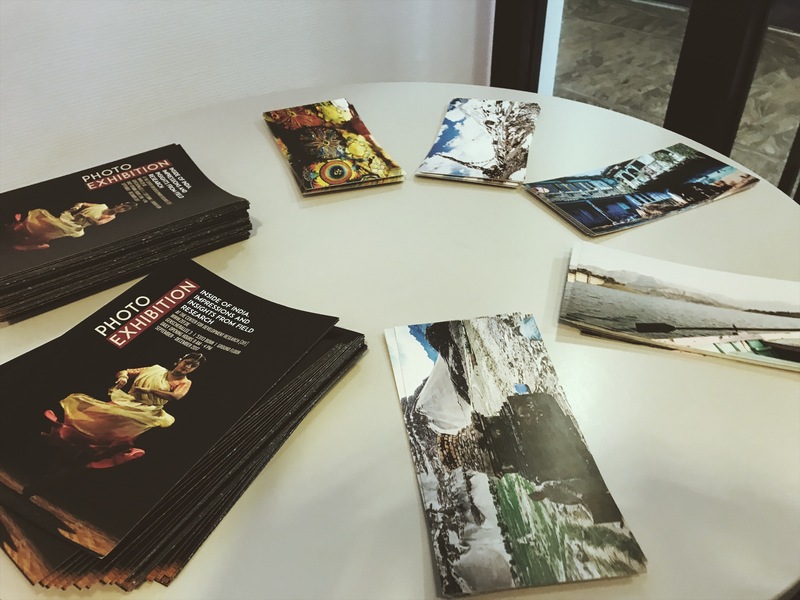 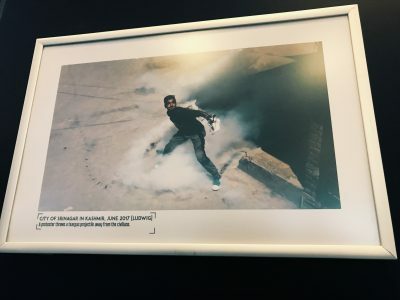 The photos were taken during their field research in India in 2016-2017. 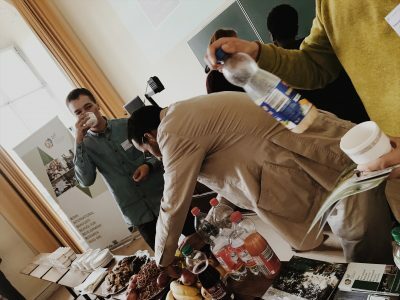 Sebastian Forneck is a social scientist investigating climate variability, food security and the social construction of home in Zanskar, India. 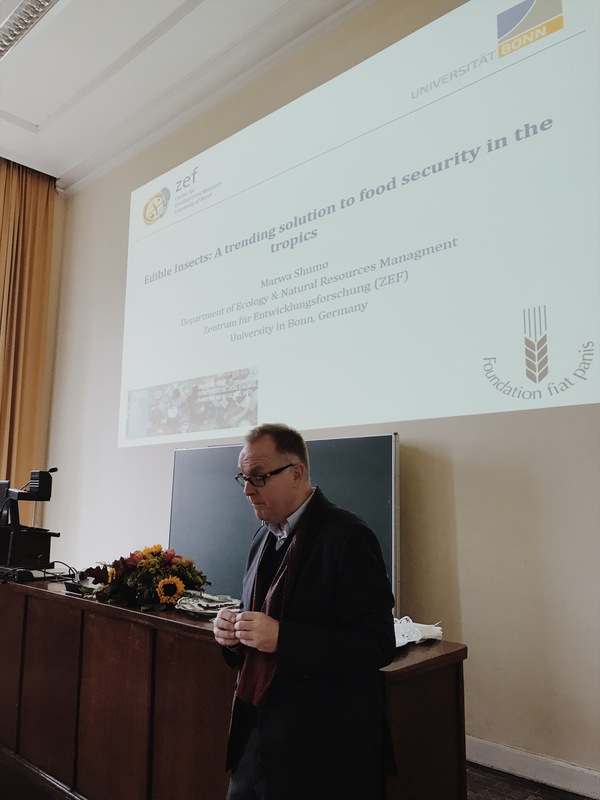 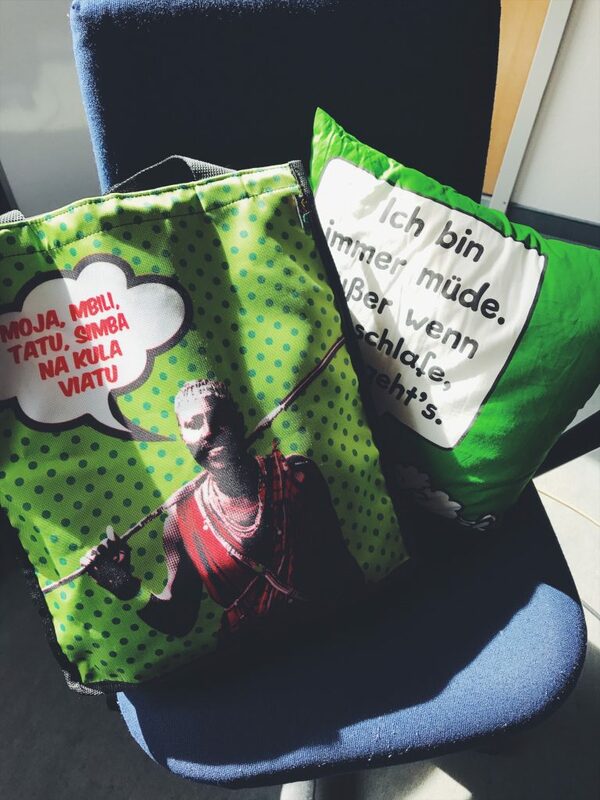 Till Ludwig is a development economist conducting research on behavioral economics, agriculture, nutrition and their interlinkages regarding food consumption. Sneha Sharma is a social scientist looking into conceptualizations of waste in everyday life and contestations around urban spaces. 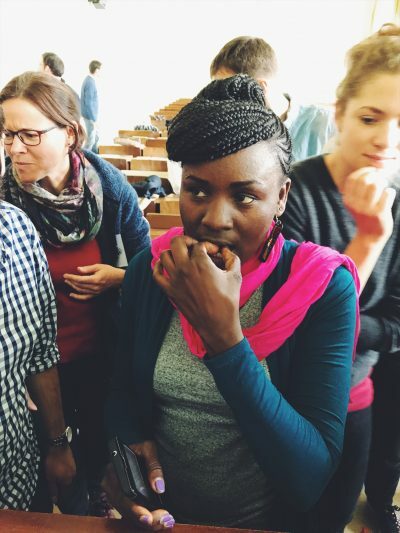 Poornima Thapa is a social epidemiologist whose research focus is the linkages between water, sanitation and women’s health in developing contexts.